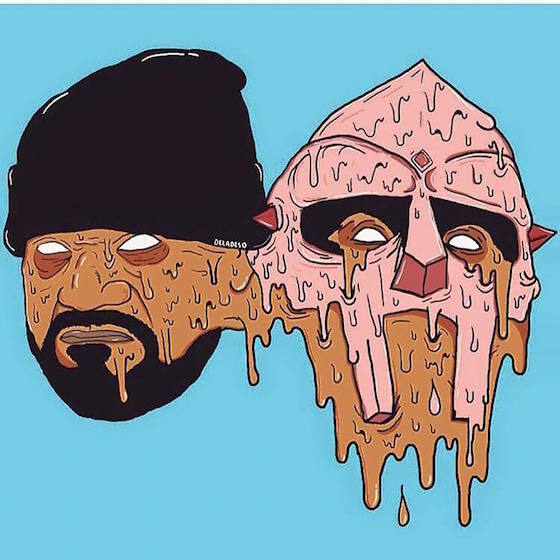 Is This The Cover for Ghostface and DOOM's Collaborative Album? Rappers DOOM and Ghostface Killah have been teasing a collaborative album under the name DOOMSTARKS for over a decade now, first mentioning the Swift & Changeable LP in 2006. That was followed by years of delays and disappointments (along with a few peeps of new music). Now, however, it looks as if the album might come out. Last year, Ghostface told The Source that he was going to drop the album in February 2016. While he hasn't quite delivered the goods just yet, he is hinting that the release is imminent. The Wu-Tang rapper recently updated his Facebook and Instagram pages with the above image. While that's not a whole lot to go on, it does look as if it could be the cover art for the pair's long-awaited collaborative album. Here's hoping we'll have some more information on the DOOMSTARKS album soon. Whether that's good news or more crushing disappointment is yet to be seen.